"When you're in college you really start to figure things out." 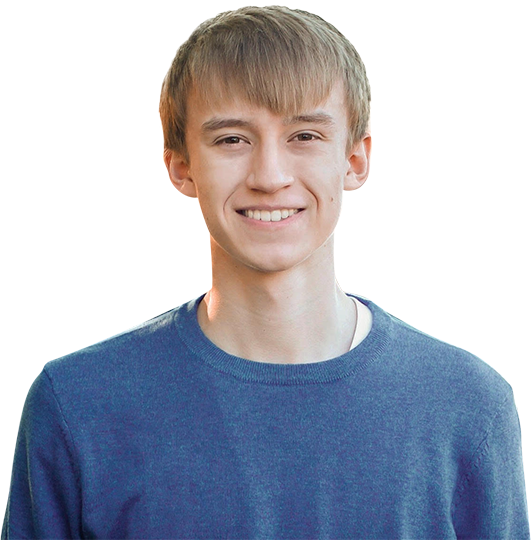 Nathan Tappen was undecided on a major when he became an Ambrosian in 2017, but “undecided" is OK. We offer more than 60 undergraduate programs, and Nathan was eager to explore. Nathan attended Catholic schools in a Chicago suburb and from an early age was helping his peers, community and church. He tutored and mentored underclassmen, volunteered at a local food bank and with Feed My Starving Children. Nathan also plays the drums and was active in various music programs. We made college more affordable for Nathan and his family, awarding him a scholarship for his leadership and achievements. 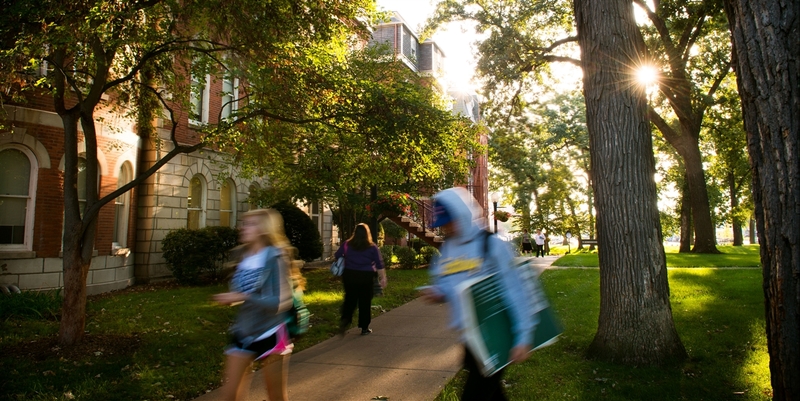 "I heard about SAU by chance, looked into the university and I liked what I saw. I prefer a small- to medium-size campus and the Catholic aspect was important to me," Nathan says. 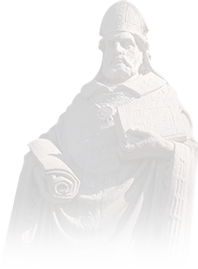 St. Ambrose is independent, diocesan, and Catholic, and we enable students of all faiths to develop intellectually, spiritually, ethically, socially, artistically, and physically. 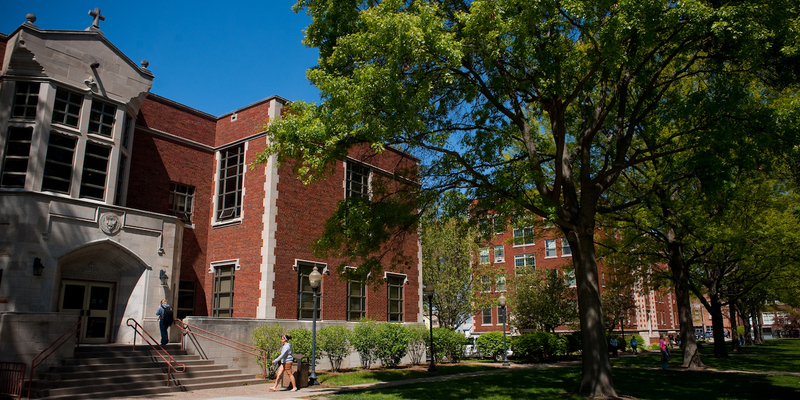 Why does a Liberal Arts foundation appeal to you? Nathan will learn so much more than textbook subject matter at SAU. For him, inquiry, discussion, and personal growth are equally important. "The liberal arts focus is nice because you are not just studying the surface of something, you are also looking at what is beneath, the ethics. You are not just taught how to solve a math problem – you are also taught to ask questions," he says. How are you involved at SAU? Nathan has found his niche. 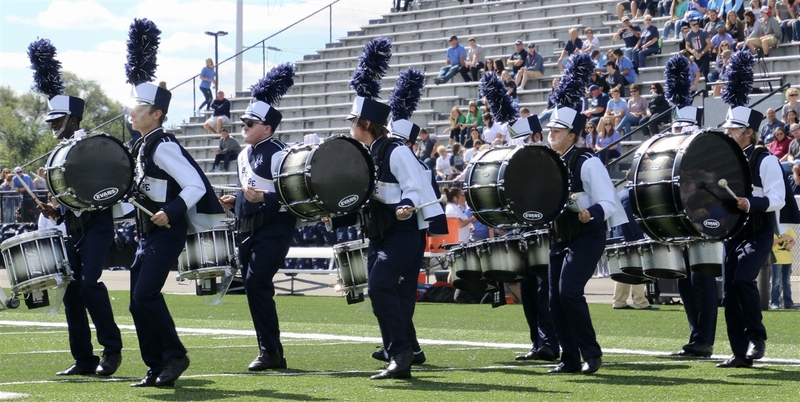 He's joined the marching band, taking the field to perform as a member of the drum line. He also has opportunities to volunteer and participate in service learning projects, two things that resonate with him. "It reflects the kind of thing I have always tried to do: to help others as much as I can. To know I found a university where I can easily continue to do that is a good thought," he says. How did you go from 'undecided' to choosing a computer science major? "I would tell a student who hasn't decided on a major that they are not alone, and that the process is designed such that all students can explore, try new things and discover their true passion. You don't need to know everything the first day of school. I am still on track to graduate normally, and the process has been guided by St. Ambrose faculty and staff to ensure that I am able to discover my passion," Nathan says.